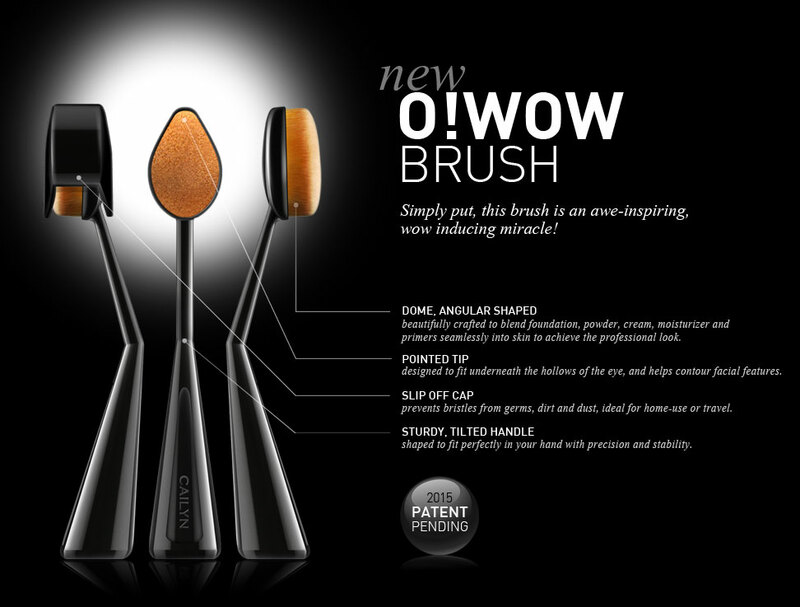 Not only does this brush look cool but it performs amazingly well. 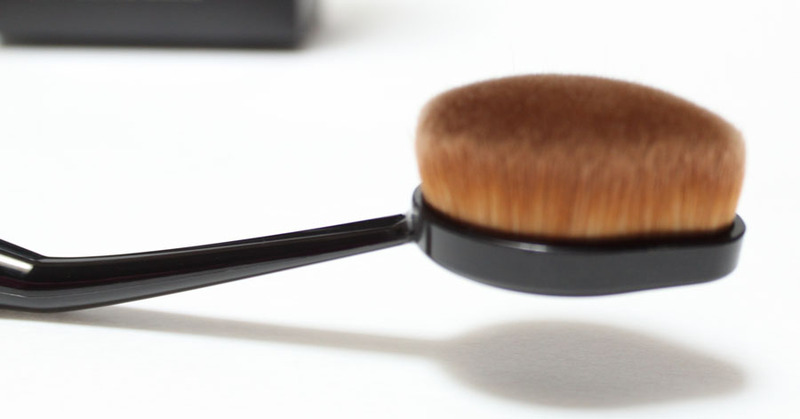 It's like the perfect combination of foundation brush and beauty blender. If you like liquid foundations or bb creams this is an excellent brush to apply it with. The best way to use this is hold it light you would a tooth brush. Start at the center of the face "dragging" out product then lightly blending in a circular motion to get a seamless finish. 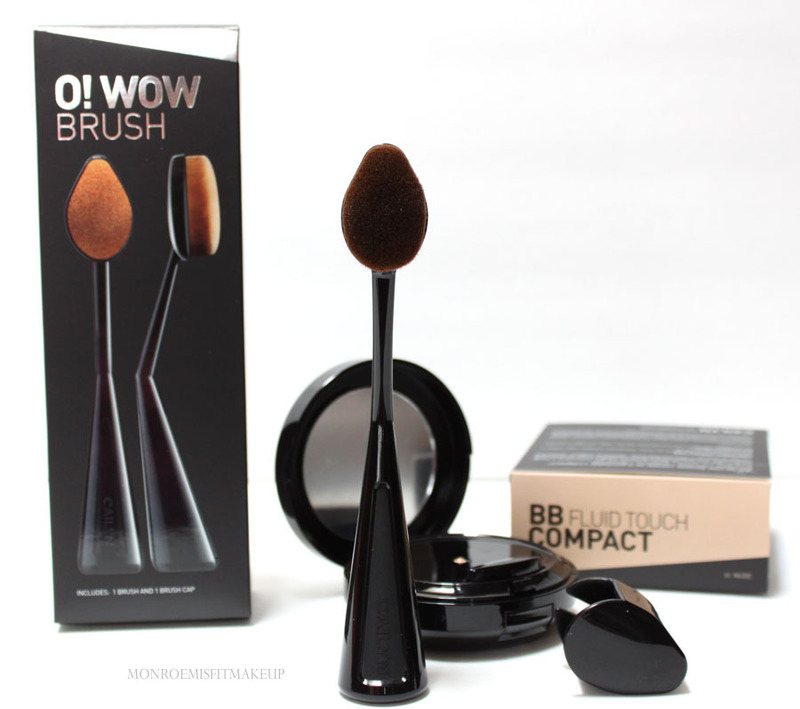 BB Fluid Touch Compact looks like a second skin applied with O WOW!. So natural the product is almost undetectable on. With velvety dense bristles no streaks are created and it doesn't soak up product like a sponge. The bristles are soft on the skin and the pointed tip lets you blend foundation in to every contour, even under the eyes. O! 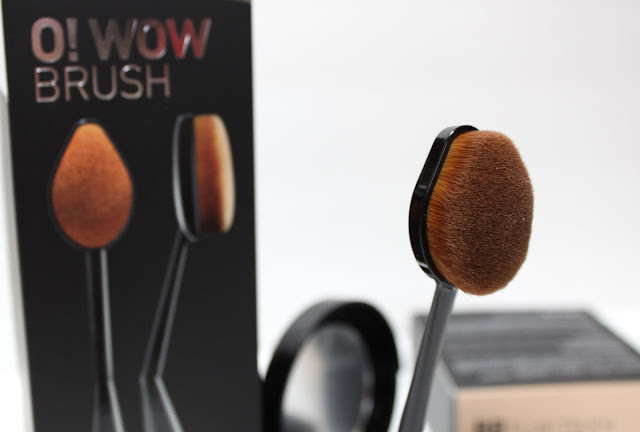 WOW is also a lot easier to clean than beauty blenders and has a cap to protect it for travel. If you thought the brush looked familiar the MAC Masterclass Oval #6 brush was similar and this one would make a great dupe for it. After using the beauty blender for foundation application for years it took some time to get used to using this strange brush. Glad I did because the result are flawless!